On Monday, August 24, the President's Council of Advisors on Science and Technology released a report on the H1N1 Swine Flu that indicates the United States could see an infection rate of 50% or more. The number of deaths from infections is expected to range from 30,000 to 90,000. It is expected that infection rates will soar as children return to school and, maybe even more importantly, college students geographically relocate as campuses start their fall semesters. The peak infection time could be in October. This is unfortunate as the current timetable for swine-flu vaccinations isn't expected until mid-October at the earliest. This mis-match in timing is expected to have a major impact on the spread and impact of the virus while reducing the overall benefit of the vaccine -- since many will not receive it before they are infected. The most vulnerable portion of the population is expected to be pregnant women, health care workers, parents and guardians of children under 6 months of age, and adults under 65 with an underlying health condition, such as asthma. The CDC released preparedness guidelines for schools and business several weeks ago at the website www.flu.gov. Since the H1N1 virus emerged in the Spring of 2009, WHO (World Health Organization) reports that lab-confirmed cases number over 182,166 and over 1800 people have died from it. Due to difficulty with health care reporting in many areas of the world, these numbers are considered to be an underestimation. The CDC reports 43,771 confirmed and probable cases in the United States with 7,983 hospitalizations and a total of 522 deaths as of July 24, 2009. The latest reports indicate that 98% of all influenze type A viruses reported to the CDC with H1N1 (swine flu) viruses. Reading the article on how coffee shops, mostly the independents, are beginning to limit and discourage laptop use, I was reminded of my own experiences. I happen to like Panera Bread and there was a location near my old office. However, it was a royal pain to eat there as there was rarely room to sit. On the occasions I managed to go in AND get a seat, I observed people with a cup of water or a single coffee taking up entire tables for 6, but by themselves. I witnessed some of these laptop users taking their own food or microwave meals out of backpacks and using Panera's microwave to cook them. I often wondered where this insane sense of entitlement came from. This is a business that provides a free service to complement your meal and the business you give them. Yet, these laptop users acted as though it was their Internet provider and we lunchers were in their way. Unbelievable. I am not a coffee drinker, but I do sometimes take my notebook and wander into a Panera or other establishment that offers WiFi. I'll usually get some food and a drink, then partake of the WiFi service for a bit. But I have always been cognizant of the establishment's clientele and whether the seat/table was needed. It wouldn't occur to me to NOT do that. Chris Brogan's blog had a post about the hoopla around a t-shirt . Yes, a t-shirt. Evidently this t-shirt had its reviews taken down from the Urban Outfitter web site for some unknown reason. Well, if you go to the Amazon listing for the t-shirt you might get an idea. While there didn't seem to be anything offensive, the posted reviews are just hilarious. So, with that being the case, why did Urban Outfitters see fit to take down the reviews from their site? And, it raises the question about overall censorship of reviews. ...Uncle Sam is on the verge of paying the City of Los Angeles $30 million to subsidize a ten-year run of Cirque du Soleil. So it's finally come to pass - America has embarked on the same road down which ancient Rome marched to its ruin: Uncle Sam not only subsidizes bread (by subsidizing wheat production) but now also circuses. Amazon was recently faced with one of those "no-win" decisions. It had come to light that a publisher who provided a Kindle version of George Orwell's 1984 and Animal Farm didn't have the rights to publish in that format. Amazon made a choice that sent ripples throughout the technology world; to use its wireless link with Kindles to remotely remove the books without advance notice. Now, mind you, these are electronic copies for which consumers bought and paid for legitimately. Another repercussion of this act was that any notes, bookmarks, or related commenting done by the reader on their Kindle was made irretrievable. This is due to those items being stored in a separate file that is linked to the book; no book, no link, no access. Amazon had other options and should have weighed on the matter more before taking action. 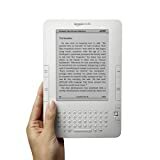 The eBook market is still maturing and there are likely many people that were a bit hesitant about the idea of only having electronic versions accessible only on the Kindle. This Orwellian (pun intended) approach of reaching into someone's personal property and removing a product bought and paid for cannot possibly help those consumers who sit on the fence lean towards the Kindle and Amazon. As it turns out, Jeff Bezos later released a statement apologizing for the action and indicated Amazon would never do such a thing again. We'll see if their market position gives them enough clout with the publishers to really do that.